What do 당신 think purple colour depicts? WHY are 당신 obsessed with purple? The fans pick: Because it's like me- TOTALLY AWESOME!!!!!!!!!!!!!!!!!!! It&# 39; s a cool color. why is purple your favourite colour? why is purple such an unappreciated color?! post the best purple pic and get props!!!! A beautiful colour which glows amoungst the others. Purple seems to be able to fit every mood. 당신 can look at the colour purple, and it can seem moody, depressing. Quite a few people say this. Mostly to me, purple is happy. When someone says 'purple', I imagine a purple lake, with a purple castle, underneath a gorgeous purple sky. From lilac, to burgandy, there are so many shades of purple. I 사랑 them all. What do 당신 think, Guys!? a comment was made to the link: What Color Purple Are You? a comment was made to the poll: WHY are 당신 obsessed with purple? Lavender mixed with light orange, is? 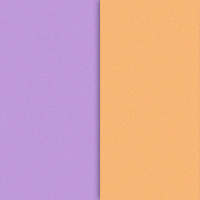 what does the colour purple mean to you? how does purple explain you?